So you want to start a business; well done you have taken your first step, starting a business and then running a business is a life commitment and should not be taken lightly. Get a pen and paper and follow these ten steps, as you work through the exercises take notes, write down real answers, if you don’t take this seriously you are kidding nobody other than yourself. Commitment is the key; remember 90% of business fail in the first three months and 55% in the first year. Don’t be frightened by that; fear is the biggest cause of failure. The ABS Australian Bureau of Statistics found that, 316,850 new startup business in 2007-08; 71.5 percent were still operating in June 2009. They also found 56.8 percent were still operating in June 2010 and 48.6 percent were still operating in June 2011. About 60 per cent of established businesses running in 2007 were still in business four years later. ABS data suggests just over half of new companies in Australia fail within four years. To be fair, the research’s sample period (2007 to 2011) was mostly during the global financial crisis. Statistics from other nations are similar; I suggest you research this for your home country. For a business to survive the business leader has commitment and a plan to follow, business fail because of lack of commitment and solid planning. Let us now look at the 10 Steps to Starting your Business, pen & paper ready? • Where do you want to be in 5 years, i.e. solo operator, expansion with a multi layered management structure, or sell and retire. Buying an established business is often more expensive, but it can provide established premises, equipment and clientele. Franchising is often an excellent alternative, where a company will sell you a proven business structure, established brand name, products, operating process. Most of the establishment groundwork is done, and you can start almost immediately. Is there a demand for my product or service, study the industry, collect as much information as possible about your customers, products, pricing, industry trends, and production/ delivery processes. 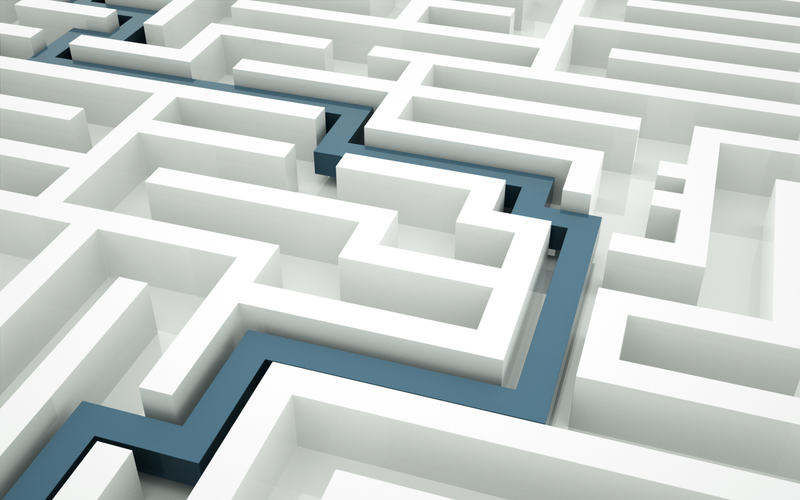 Who are your competitors – you will need to thoroughly examine who your competition is. Talk to your competitors, you will be surprised at how helpful they will be, competition is good, and they likewise want to know their competitor. Collect accurate information, conduct surveys, not just feedback from family and friends. These are all something you will need to discuss with your financial advisor/accountant. Partnerships can be a rocky road, fraught with danger; having said that there are many very successful partnerships still going strong. Deciding to create a partnership needs careful consideration and documented clearly, don’t fail to “Get Legal Advice”! Having your own corporation/company has many advantages such as, limitation of liability and tax efficiencies again discuss with your financial advisor/accountant. Every Country has laws that cover small business, and it is your responsibility to ensure that you comply with them. • Contact your local Business Development Centre or Chamber of Commerce Business to see what licences/regulations apply to you. • Insurance, in most countries Insurance, is compulsory, especially if you will be an employer then some form of worker protection insurance is required. • Check with your local city government on requirements for your location, i.e., regulations of a home business or other premises. See step 7. Choosing a name for your business can be fun, get your family and friends involved. Choose at least five or more names in order of preference, you will be surprised how many names are already registered, often using your chosen favorite. You will need to have a business address. If this is at your home, is it suitable, for example, do you have enough room for your business purpose. Will the local statutory authority allow you to operate at your home. If you want to rent/or lease a premises, investigate carefully. Is the premises in a good location, is it suitable to your needs, do you understand the contract thoroughly before you sign it. I have personally been caught out here and I have a lot of experience with contracts. Most, lease contracts are in a standard format, taken from a statutory authority. Some are modified, written in a way that can be difficult to interpret often with hidden clauses. “Get Legal Advice” before you sign any contract a few dollars now will save you thousands in the long run. Time for the pen and paper again, write a list of at least ten marketing ideas, list your audience. As an exercise do a thorough search on Google, contact your local newspaper, sign-writer and printer to get ideas and costs. Often your local shopping mall has free post boards these can help, post a brief survey, or a summary of your business don’t forget to include your contact details to get feedback. Now look at how much you are willing to spend on advertising, make a cost sheet listing the different advertising scenarios you have and the cost for each. The difficult bit none of us like; you will need to know and understand business costs and how to do basic financial projections before you start. If you intend to borrow finances to start, this part is critical as your financier wants to see how they will get their money back. • How much money is required to start i.e. equipment, stock, advertising, wages, insurance, leases, and running overheads, power & phone, etc. 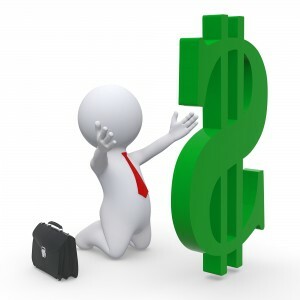 • Do you need finance, and how much, can you self-fund if so how much can you afford. If you intend to borrow can you obtain that amount of funding. If you can’t, then you need to reconsider your plans. • What your projected cash flow is for the following year? You need a projected profit & loss for a full financial year; this will help you determine if the business is viable. Bank accounts are a necessity, make an appointment with your bank’s business banking manager and discuss with them your requirements they will assist in tailoring your banking needs. You will also require a bookkeeping system consult with your account what is best for your business and will cover taxation and financial management budgets and forecasts. Your business plan is a formal statement of your business goals; the plan ties in all of the steps above and the reasons you believe will make your business a success. It may also contain background information and experience about you and why you are capable of running a successful business. This document lays out your plans for the future and act as a blueprint for the future. 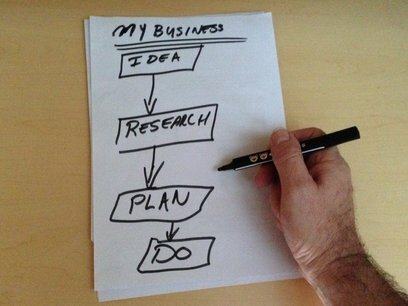 A good business plan will show whether your idea is viable or not. It will also enable other people to give you useful feedback on the viability (or otherwise) of your business, and help financiers work out whether or not they will loan you any needed money. Before you start, get advice, most business councils/chambers, governments and even your accountant are places you can go for business advice. It is essential that you employ competent professionals who have specialist advice in key areas. These should include a lawyer, (for any lease arrangements, contracts of sale, or other legally- binding arrangements), accountant (for financial projections, record keeping, compliance with tax laws). Well done, you have read the above steps, written down your objectives, asked yourself some difficult questions and answered these honestly. Now the work begins, contact your local business advisory group and start building your business. Need advice; encouragement or a well-done and a pat on the back, leave your comments, contact us or join or mailing list below. And If you enjoyed this article please follow us below. Thank you so much for this, I have been wanting to start a business and had n idea of how to start. After much searching online I came across this site, I love it and have bookmarked it and will be coming back often. Thank you for a wonderful site and practical useful information. I want to my own business. To suggests to how my business, i want help. What business do you want to start? if you have questions please email contactus@arcos-creator.com with specific detailed questions so we can answer informatively. Am a young guy of 21yrs and I want to start my own business (livestock production) what advice can u give me. As a young guy you have great potential and plenty of time to get things right. Start off by learning as much as you can about your market in livestock, identify who is your market i.e. is it other growers, a middleman or the end users. Prepare a detailed plan that includes your market, capital costs including startup and operational costs also include a profit and loss forcast for at least 3 years. Have you read Darren’s Guide Book on starting a business? you can download a free copy here http://www.free-ebooks.net/ebook/Your-First-Business-a-Starters-Guide Please let us know if this is of benefit and how you are progressing, I am sure our readers would like to know of your journey also. I like the simple way you lay out how to start a business. As a business owner myself I still have a lot to learn. I will be applying some of your suggestions here and I am sure I will find more information on this site I can use to improve my business position in the market. Thanks, Shidan, we are always learning, glad to be of help. Hi there.. Am Gabriel, a young male from Africa, namibia… and I have a mind to start a business… And I so happen to come across this page, of tips on how to start my own business. I really went through the page very well, and I have got an idea on how to start… I am really thankful for this website offering those great tips… I believe I will be hardworking and succesfull once I start my business.. Question: Is it proper to start a business without any cent, just to rely on th loan money??? Hi, Gabriel, well done on wanting to start a business, Reading our page on starting a business is a good place to begin, also have you downloaded my free book? Gabriel, I hope this answers some of your questions, and I wish you all the best in your business venture. I wish to know this steps before starting a business. Sometimes is really difficult to understand yourself and answer this questions above if you don’t have the knowledge how to do it. With your useful information here, I believe everyone can start a business and be prepared for the real business world. PS. – Think I should read few more times the steps here. Hi Darren,I’m planning to start a business as in beauty industries.Other than write down my planning & goals in a list,what should I do next since I do not have enough financial to start this business. Hi Yvonne, It’s fantastic you are planning your business and already have a list of goals. 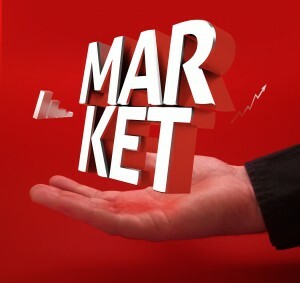 Next you need to determine your market, are you planning on opening a salon or an online store/information site? If you are looking at opening a salon I suggest you follow step 3 & 8 on page http://arcos-creator.com/starting-a-business also Advertise your business on page http://arcos-creator.com/run-a-successful-business. If you are looking at an online business read the post on setting up an internet business http://arcos-creator.com/internet-business-without-investment. Learn as much about your business as you can investigate all possibility’s don’t be in a rush, you will be surprised at what you can learn and you can also start a business with little financial investment. Hope this is of some help? Thanks for creating this site. It it full of detailed information to start our own business and easy step to follow. PS : I love the picture, the effective way to plan your business, simply draw it !! Thank’s Ash, pictures tell a thousand words, often I have searched for the perfect picture wasting time, when I could have drawn a simple sketch to illustrate. i am a first year student in tetiary institution, i have always wanted to operate my own cosmetic shop and someday become a sole distributor of one product here in my country without going out of business in a short while. i have always have fair about not making it but thank to your advice i believe i can make it without hesitations. Sounds like you are already headed in the right direction Elizabeth, start by writing down a list of your ideas and begin developing a plan. Planning is the key to success, by planning and starting slow you will be on the right path and who knows you might have a business up and going even before you finish your studies. If you need more advice ask or info follow us on Facebook. I’m a student in Kenya. I’m also awestruck at the awesomeness of the content. I’m planning to start a sacco majorly in motorcycle industry.The tips have been a huge guide ND I’m looking towards the start of a successful business taking into account all pros nd cons. I never thought about fear being the biggest cause of failure. Sometimes we let the news and numbers get at us I suppose. These are excellent steps to take, thanks! Thank’s Sarah, fear is the biggest obstacle for us all especially when it comes to business, often it is the fear of failure that prevents us from getting started. After following the 10 steps to start a business and we are overwhelmed by it and let fear take over we have failed. The 10 steps are tools to assist with startup, and if after following the steps and it looks like your business is a failure, start again try a different model or market, anything to be a success. Remember do not let fear control us.